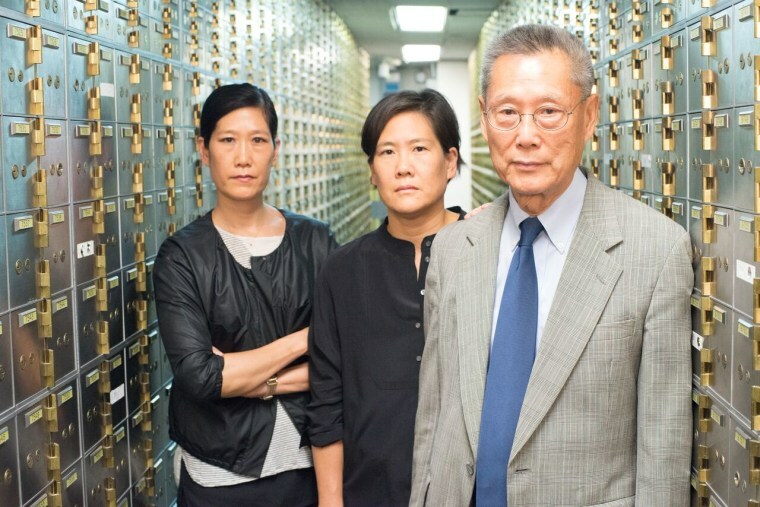 Vera Sung, Jill Sung, and Thomas Sung are featured in "Abacus: Small Enough to Jail," a documentary about the only bank believed to face criminal charges following the 2008 financial crisis. In the film, James follows the Sung family as they deal with the last months of the trial and await the jury’s decision. Eventually, they would be found not guilty of their charges. James told NBC News what drew him to making this documentary was when Mark Mitten, the film’s producer, told him about the case and what the Sung family was going through. Prior to the indictment, Vera and Jill Sung — two of Thomas Sung's daughter who help run the bank — had fired a loan officer who had been altering mortgage applications to fraudulently qualify borrowers, according to the documentary, and reported the cases to authorities. After the trial, Abacus and the Sung family were found not guilty of the charges against them. Vera Sung, bank director of Abacus, said her family didn’t have expectations of how the documentary would turn out or where the focus of the film would be. “When they approached us and we first met Steve, it was the beginning of the trial and at the time, Jill and I and our whole family were so preoccupied with the trial and putting our best efforts into that and have the best outcome possible,” she told NBC News. Jill Sung, the bank’s president, said that, from her perspective, it was interesting to watch the film after the trial was finished. Vera Sung said the documentary has received mostly positive feedback from the community and the rest of their family and has restored some dignity to the family. James said that while he has received a large reaction from the Asian-American community while screening the film on the festival circuit, he believes the documentary is relatable and can reach other communities as well. The Sungs in a still from "Abacus: Small Enough to Jail"
Vera Sung added that while this country might have a criminal justice system that is better than others in the world, there are still many flaws. Jill Sung added that despite the stress and suffering her family went through, one of the positive things that came out from the case was how her family supported each other during the ordeal. James said he observed a change in Thomas Sung in the course of filming the documentary and since it has been screened at festival. “In the festival circuit, he really speaks out strongly about the need to stand up and face these injustices, and speaking to a larger community and feels like he’s more emboldened to tell everyone else to become more involved,” James said. Jill Sung said that while this situation has changed her as well, she has focused most of her efforts on restoring Abacus to what it used to be. “If somebody hurts you and you have a physical wound, and you develop a scar — the scar is usually more sensitive to things that occur,” she said. “I’ve found myself more aware of things that I may not have been aware of before, because I’ve gone through this."